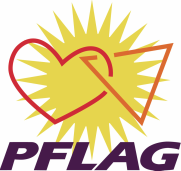 Support your local PFLAG Chapter by becoming a member or with a donation amount of your choosing. ​Note: All membership and donation amounts are tax deductible. Select a 'Membership Level' from the dropdown below and please give us your email address - then click the 'Add to Cart' button and you will be taken to a secure PayPal site to complete the transaction. Please complete all the information fields so we can send you a thank you letter or email and at year's end send a receipt for tax purposes. ​​You don't need a PayPal account - just select "Check Out" to pay without a PayPal account. If you have any questions please send us an email. ​Click the Donate button below to make a tax deductible donation to your local PFLAG Chapter. You will be directed to a secure PayPal site where you can enter the donation amount of your choosing. Please complete all the information fields so we can send you a thank you letter or email and make sure you get a receipt for tax purposes. You don't need a PayPal account - just select "Donate with a Debit or Credit Card" to pay without a PayPal account. If you have any questions please send us an email.